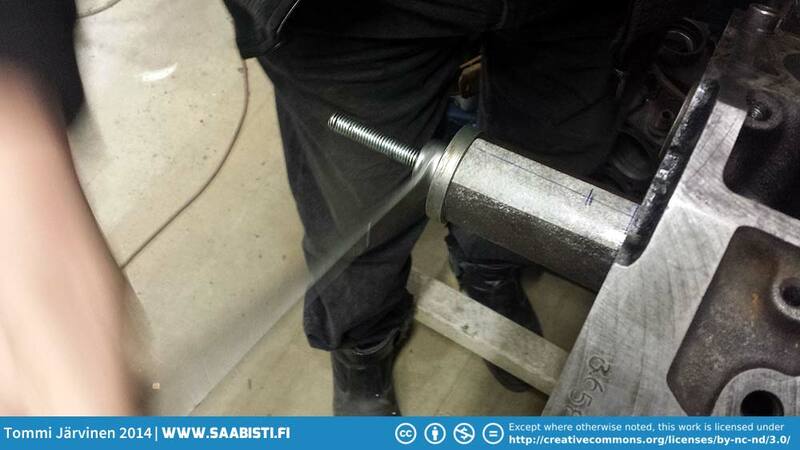 Our high-tech bearing installation tool. 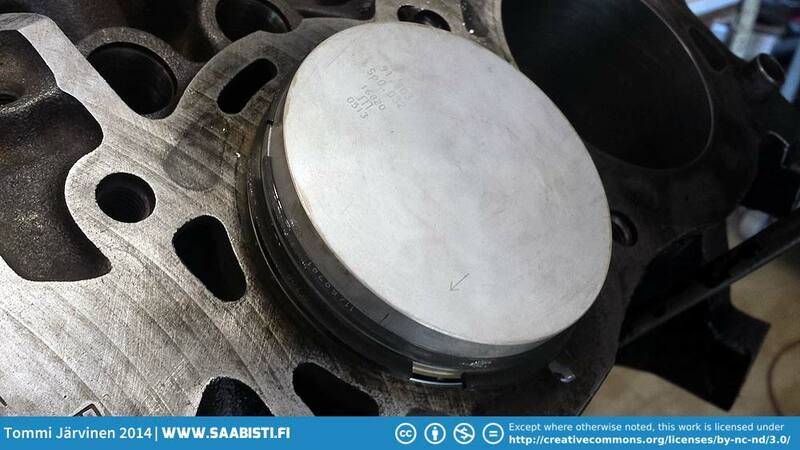 A tube machined for the inner diameter of the center camshaft bearing and some painters tape to protect the bearing surface. 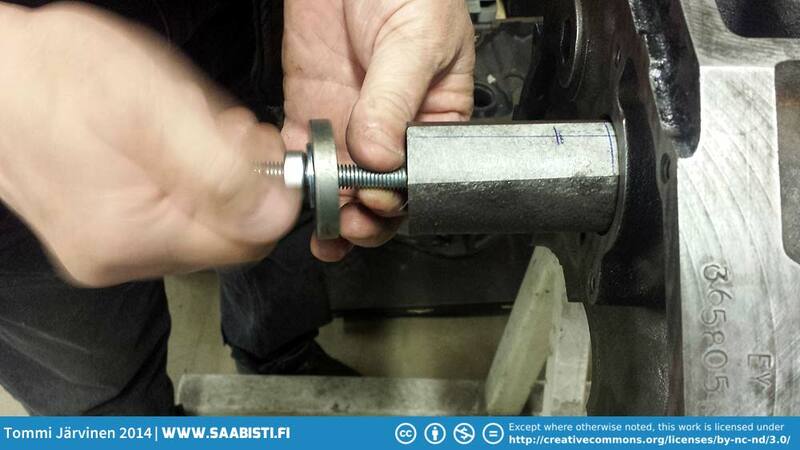 Installing the center bearing. 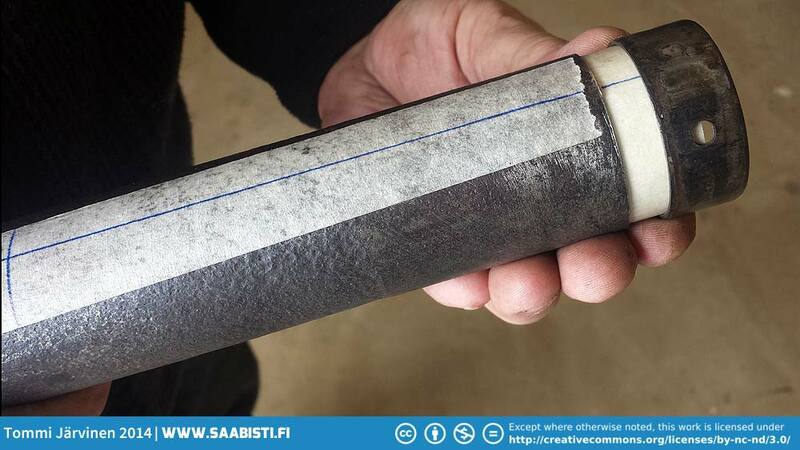 The correct installation position and the alignment of the oil channels marked on the tape. A long threaded rod goes through the block to the other end. A plate keeps the rod from coming through. 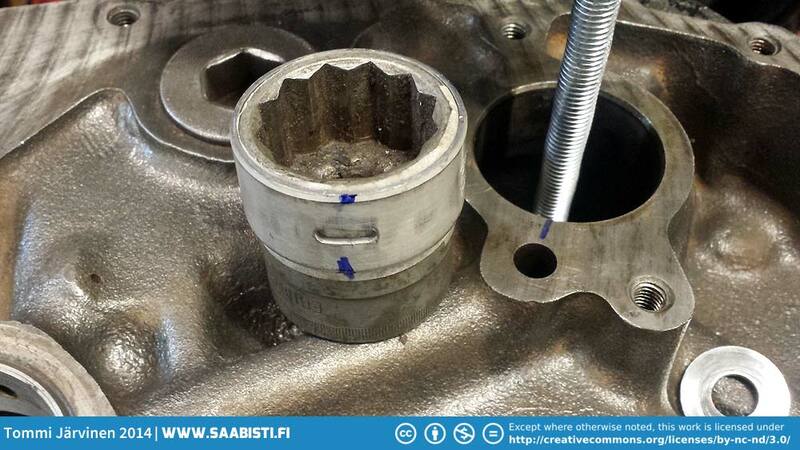 Tightening the nut pushes the bearing into correct position. 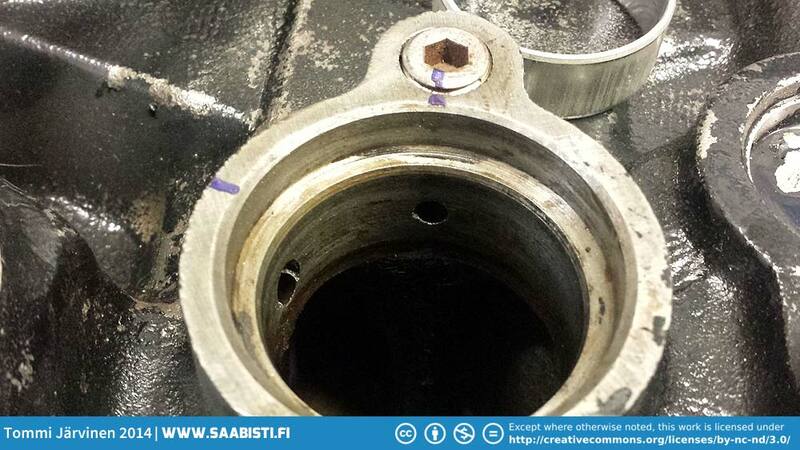 After the installation the correct positioning of the holes on the bearing and oil channels is checked with a long rod. 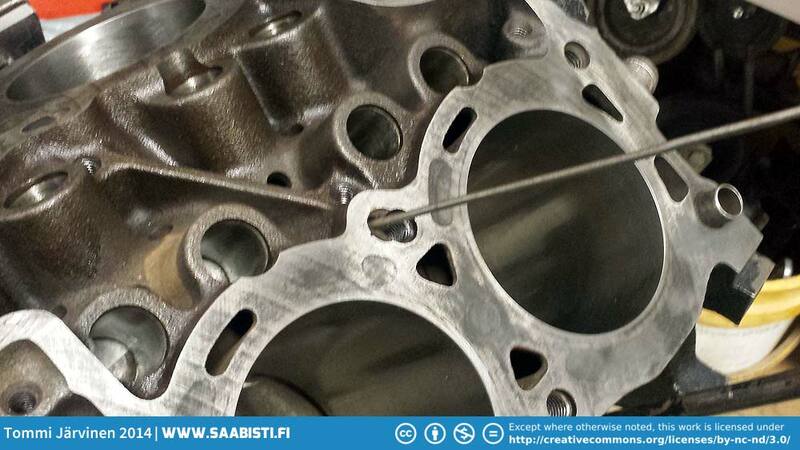 Oil channels correctly positioned, the rod comes easily through. 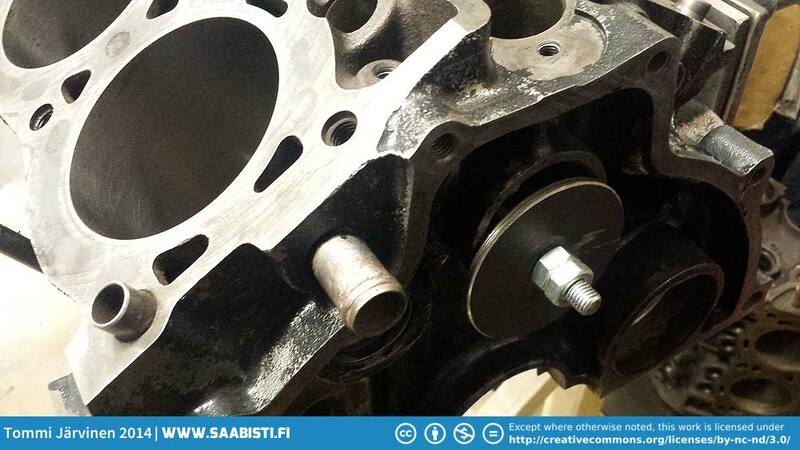 Marking the position of the camshaft end bearing oil channels. 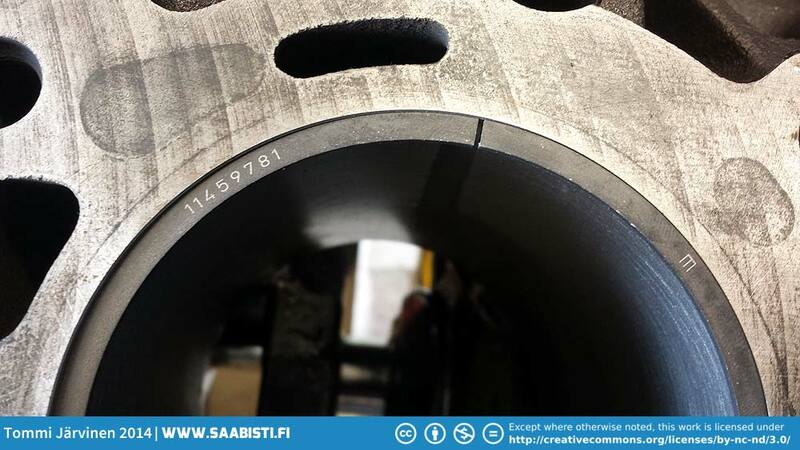 Marks on the bearing for alignment. 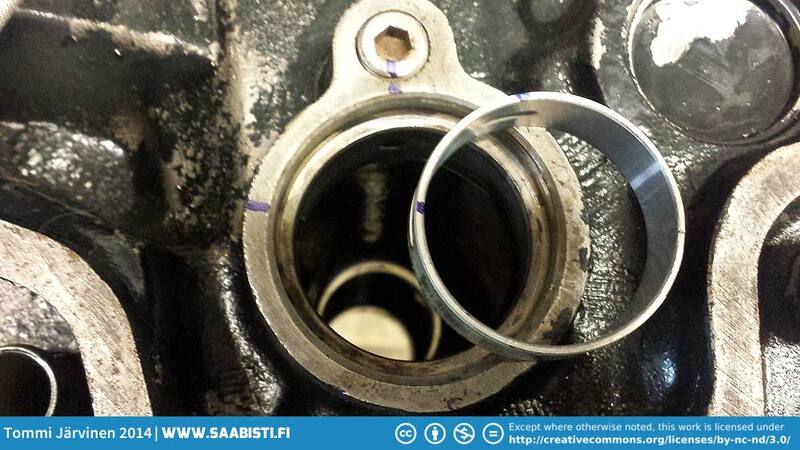 For the end bearings I found a big socket with some painters tape to keep the bearing from twisting when installing. The bearing going in smooth. 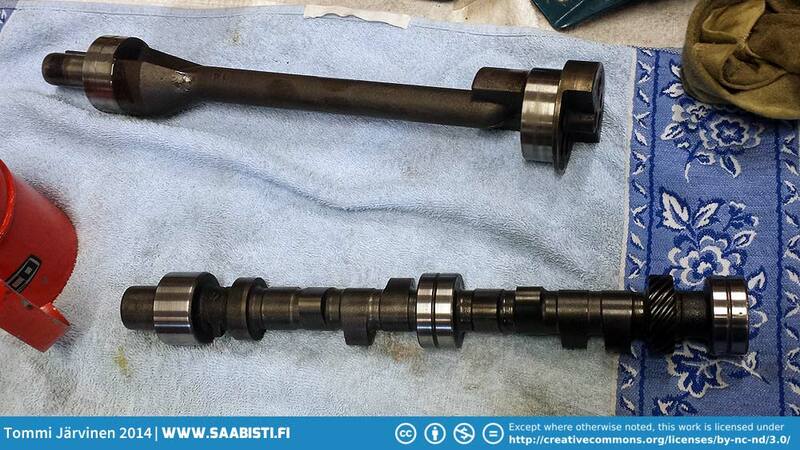 Cleaning up and oiling the camshaft and balance shaft. 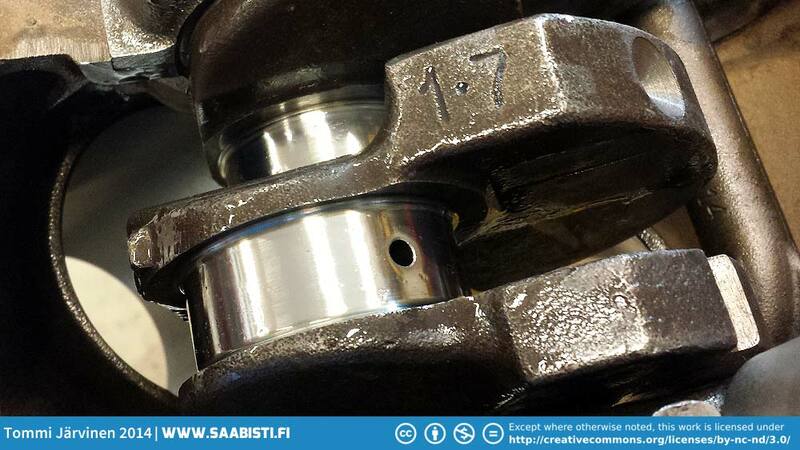 If the bearings were installed correctly – no deformation – the shafts should slide in easily. 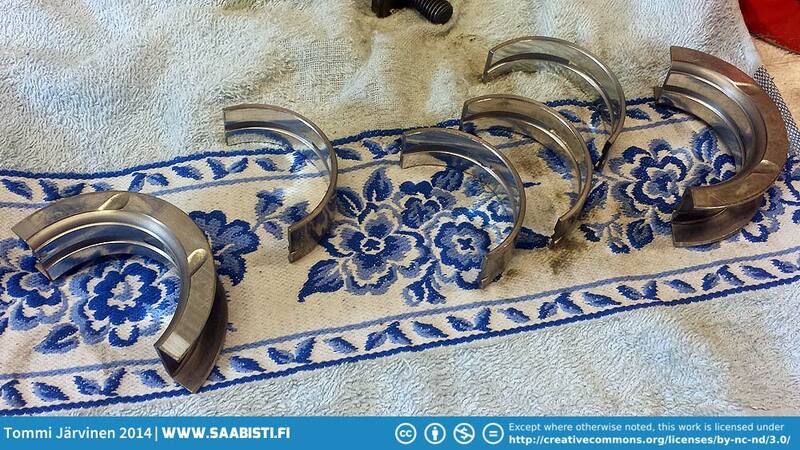 Endcaps in place with sealer. 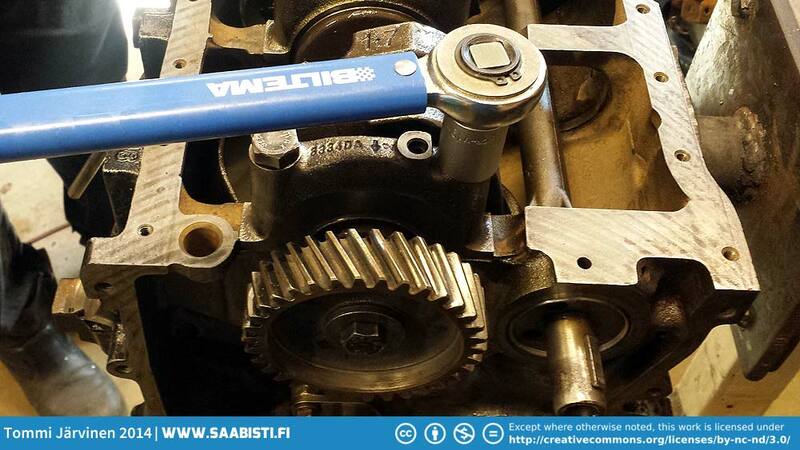 The first job was to install the drive gear on the crankshaft. It’s a tight fit, but an easy way to do it is to heat up the gear with a little butane torch or in owen. 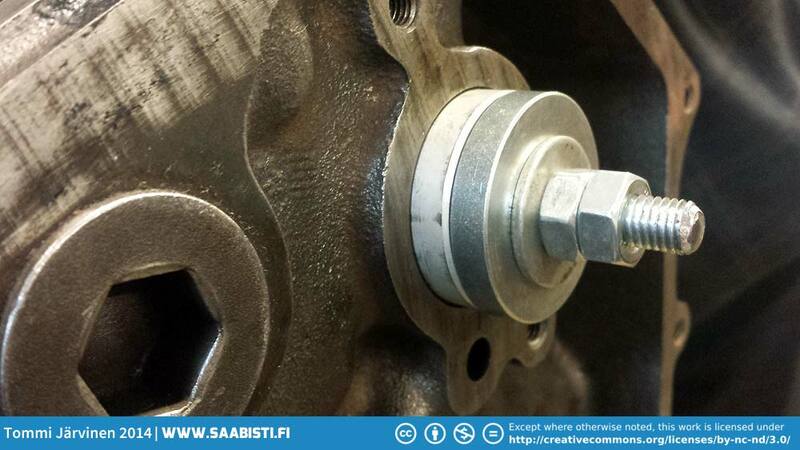 The heat expands the part and it should slide on the crank pretty easily. 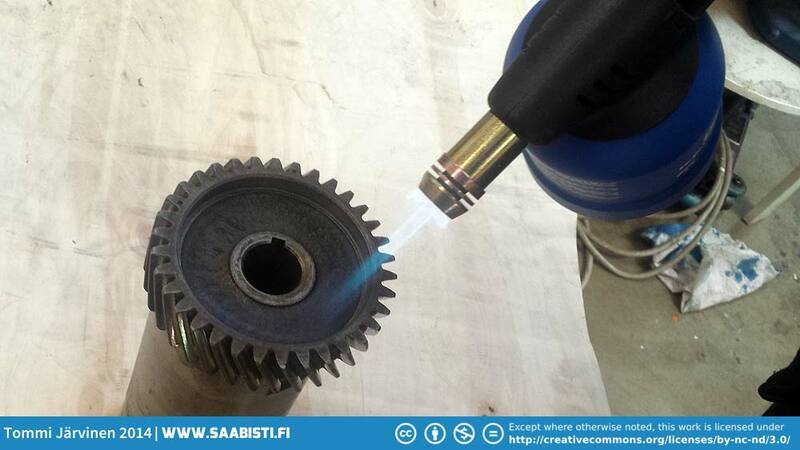 Drive gear installed – it went in easy. It’s very important to keep the parts clean. 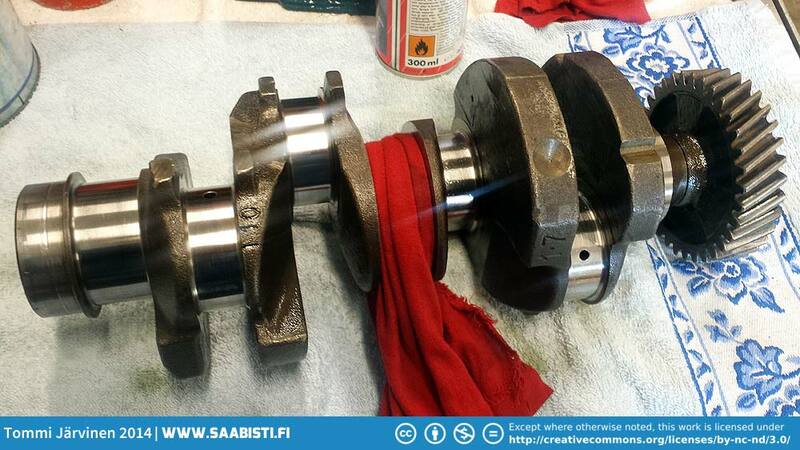 Cleaning the crankshaft with some grease remover and then putting some oil on the necks for lubrication. Those are some pretty clean necks! 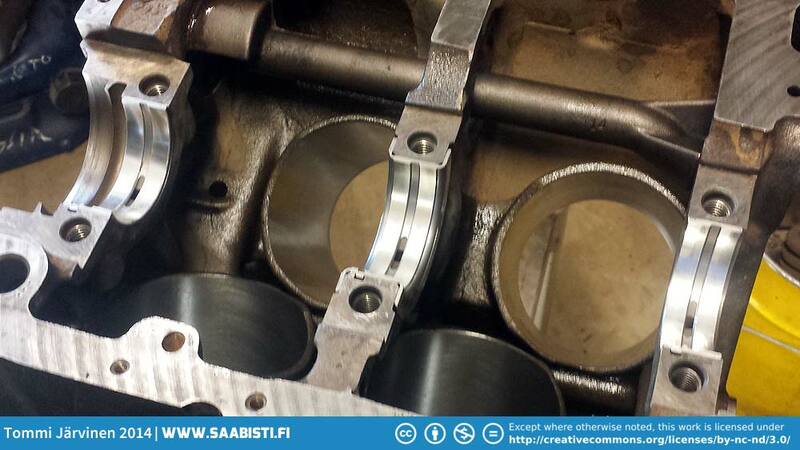 Main bearings in the block. 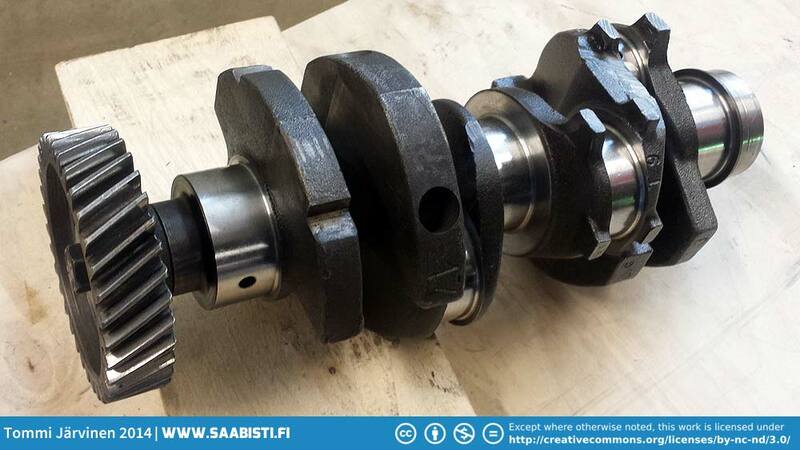 And the crankshaft in the block. 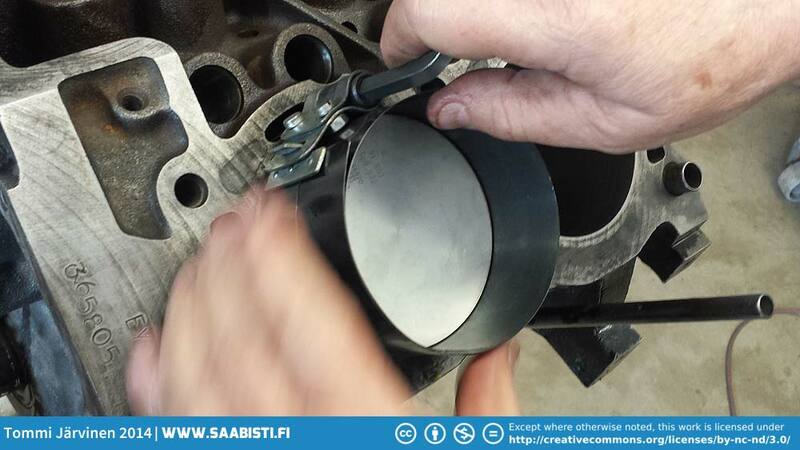 Checking the piston ring gap. 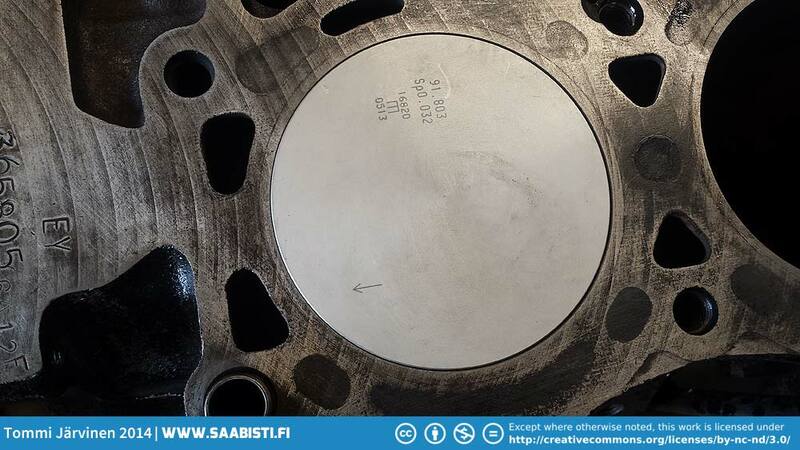 The connecting rods are marked for specific cylinders to keep the pistons from going to wrong cylinders if the engine is taken apart later. 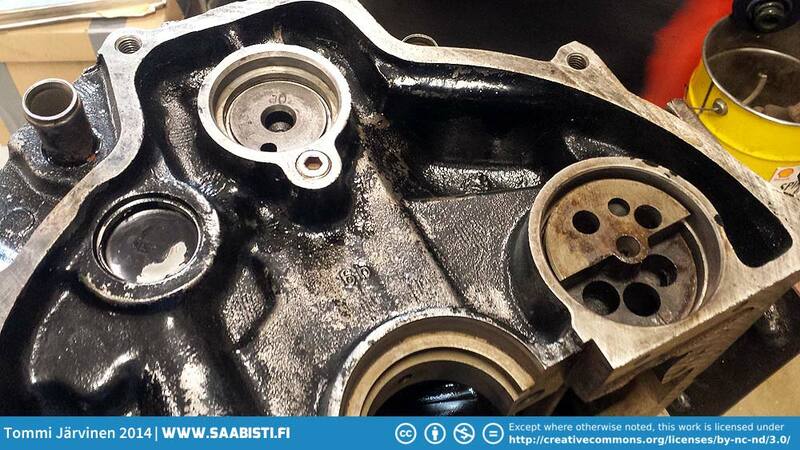 Installing the pistons – compression rings and oil ring sections in correct positions. 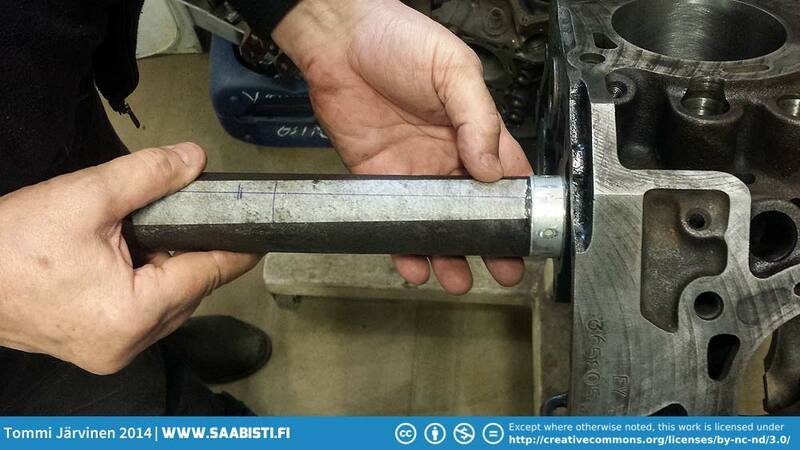 Pushing the piston in with an installation tool. 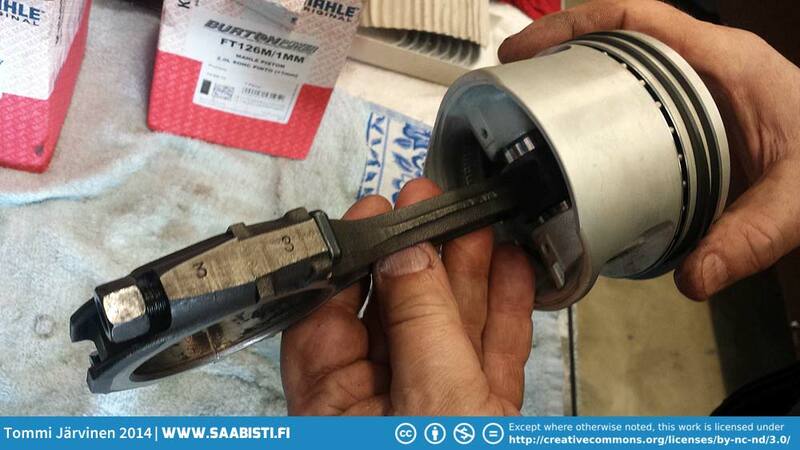 Here we go – that’s a nice looking Mahle piston! That’s how far we got today – let’s hope we can continue on the next weekend. 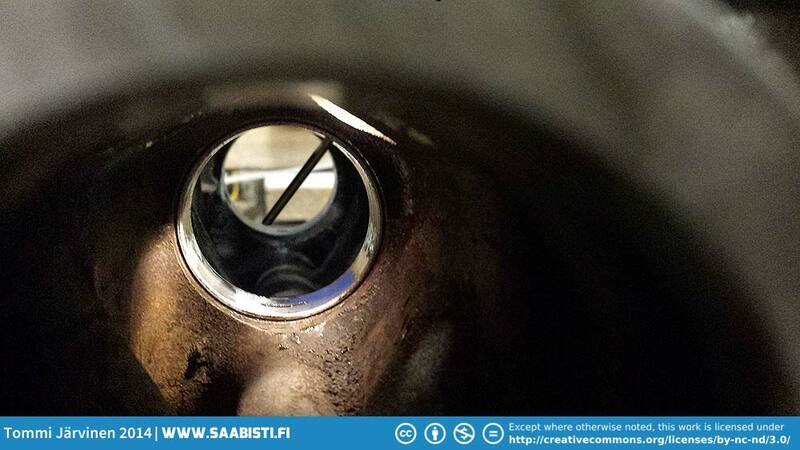 Oh – by the way – Tikkis is also rebuilding his race car. 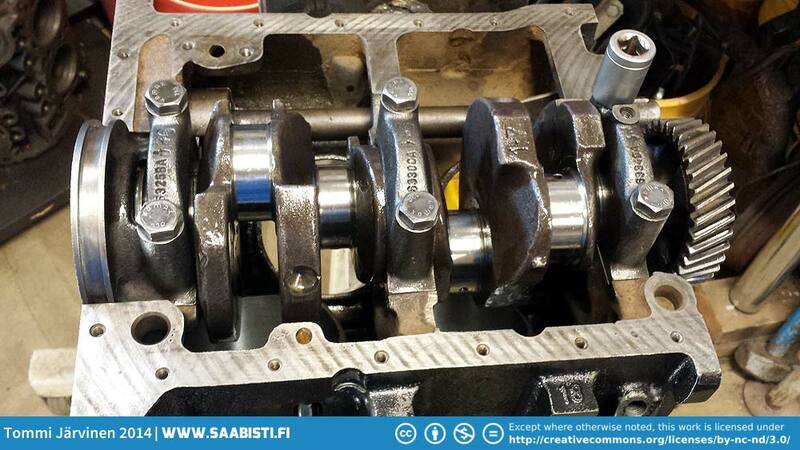 There’s a bunch of engine related posts on Saabworks.fi blog – check it out also. 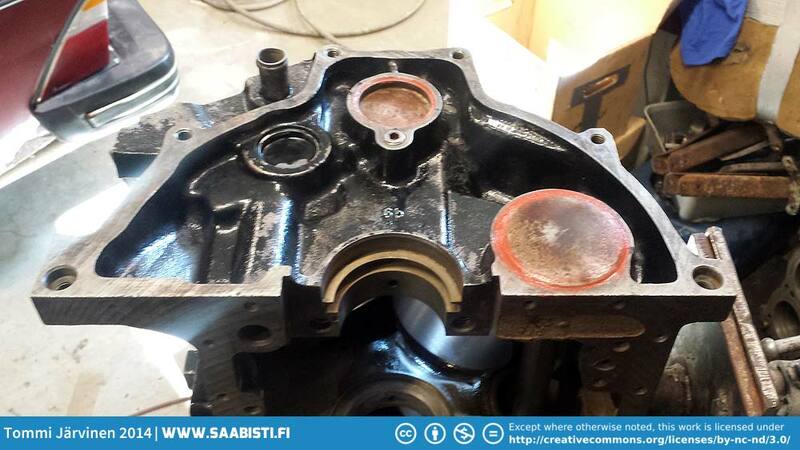 Next PostSaab 96 V4 Rally – engine build part 2.